QSE 39Hi Wet Station w/ two drawers, cabinet w/ adjustable shelf, blow dryer holder, flat-iron holder, two curling iron holders, clipper pocket, & six-outlet power strip. Shampoo well with lift lid. Includes backsplash and 36" x 42" mirror. 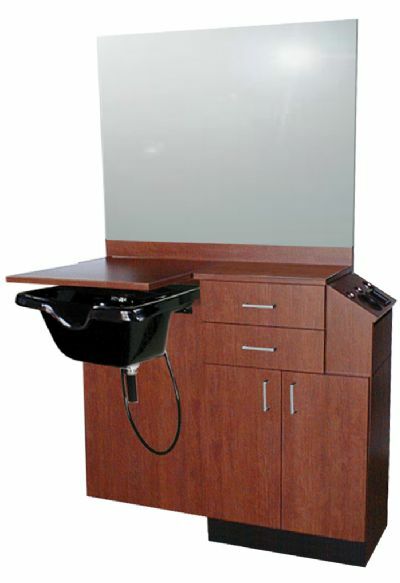 48"W x 16"D x 39"H. Pictured with CB19 Shampoo Bowl, ordered separately.